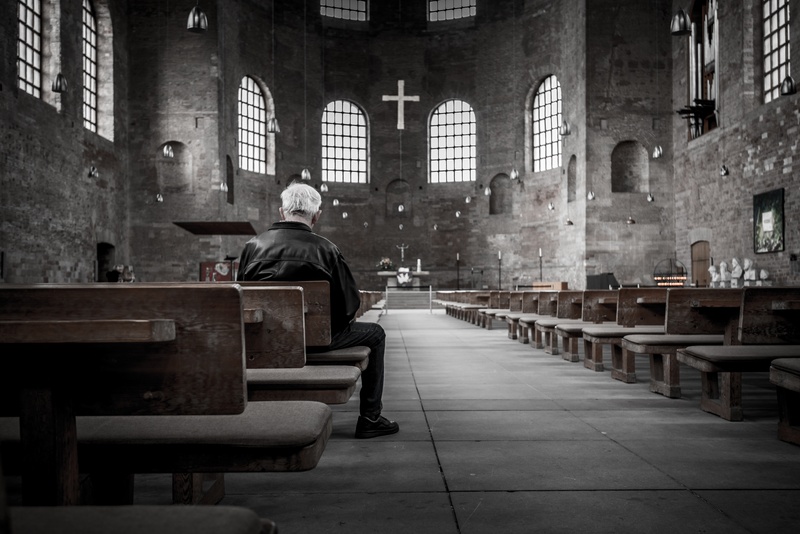 An insightful blog post from my fellow Lutheran pastor, Michael Jannett. What am I passing on to my children? I realize as I watch the news in the morning, my children are usually watching too. I wonder as they watch, what I am teaching them about the ways of the world? Fear of terroists, fear of violence, fear of people with different ideoligies or skin colors? I also wonder what I am teaching them about the ways of Lord and God’s people? Trust, hope, love, thankfullness, forgiveness, grace, compassion, and mercy. Am I teaching the fear-based ways of the world, or the hope/trust/love/thankfullness/forgiven/grace/compassion/mercy-based ways of the people of God? I want to be an idealist and a realist, and I want to pass that balance on to my children. Over and over again in the Psalms, we are instructed to give thanks. I’ve learned from experience and scripture, (and I’m still learning) contentment. So much of contentment comes from perspective. Do we truly believe we have Jesus, we have God’s grace, forgiveness, and love, we always have hope, and we never have to fear death, because of Jesus place on the cross is the death of death? And if we have truly experienced God’s love in Jesus Christ, how can we not be thankful? Challenge: As we celebrate Thanksgiving this week here in the U.S., make a list of 100 things you are thankful for. (It’s 21*F outside this morning so I’m thankful for hot water and indoor plumbing.) Then use that list in a time of prayer with God. Prayer: Lord, you have provided me with so much. Help me never to take it for granted. Teach me to use it for your kingdom, to make your world a better place for all. Teach me your ways and guide me. May we never forget all that you have done for us, may we always be grateful for your provisions and blessings. Amen. We live in a time of fear. Terrorist attacks fill our news feeds. A refugee crisis grows every day. How do we soak it all in and how do we respond? Into this evil and violent world, the Lord speaks these themes again and again and again – mercy, peace, and love. I love how Jude puts it, “May you have more and more mercy, peace, and love. Our natural reaction to fear is self-preservation. For those called by God, we are implored to live beyond our fears, to show mercy, peace, and love in all circumstances. 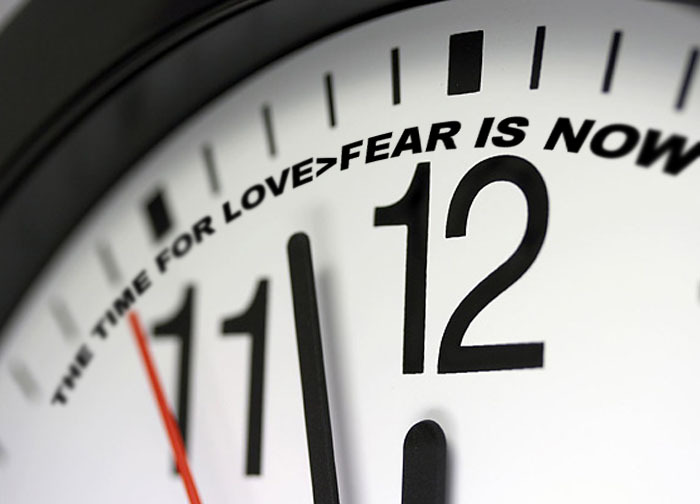 It sounds simple, but recent events prove living beyond our fears is oh so very difficult. What is the right response to fear? Where can I show mercy, peace, and love beyond my fears? Todday’s post comes from my friend and fellow Lutheran pastor Rev. Ernie Hinojosa. Some timely thoughts on Syrian refugees and the good ol’ US of A.
Daniel 6:6 So the presidents and satraps (of Babylon) conspired and came to the king and said to him, “O King Darius, live forever! 7 All the presidents of the kingdom, the prefects and the satraps, the counselors and the governors are agreed that the king should establish an ordinance and enforce an interdict, that whoever prays to anyone, divine or human, for thirty days, except to you, O king, shall be thrown into a den of lions… 9 Therefore King Darius signed the document and interdict. 10 Although Daniel knew that the document had been signed, he continued to go to his house, which had windows in its upper room open toward Jerusalem, and to get down on his knees three times a day to pray to his God and praise him, just as he had done previously. Big decisions. We all have to make them from time to time. For example, my nephew recently decided on what college to attend, and my neighbors decided that they physically needed to move to a single level house. These were not easy decisions, nor were they made quickly. How do you make the really important decisions? My wife and I agreed a long time ago to take our time in making the big decisions. That way we would have time to talk about it, think about it, and most of all, pray. If God’s not in it, it’s pointless, no matter how hard we work or labor. What big decisions are you facing? What is God’s word of grace to you? What are you going to do about it? Terrorist Attacks. Fires, Floods, Tornadoes. Gang Violence. Domestic Violences. Racism. Turn on the news and there seems to be so much to be afraid of these days. Do you live in fear? Do you live skeered (scared)? Most of us do. What are we ultimately afraid of? Dying? Pain? Painfully Dying? Passages like this one from 1 John remind me of a different way of living. Not that we shouldn’t be wise, but that wisdom is born out of love, not out of fear. I’ve had a hard time lately watching tv. Commercial play on our desires and the news and politicians seem to promote fear. I’m thankful yesterday to have heard a sermon from Rev. Eric Murray at Messiah Lutheran Church in Knoxville. He reminded us that when the world seems to be spinning out-of-control (like Vertigo), there is a different way. The way of Christ, the way of the Cross, the way of love and sacrifice. This is the life that we who follow Jesus Christ are called to live, the life of love. The Roman Empire in Jesus’ day, brought about peace through fear. Jesus, on the cross, paints a different picture of the life that God is calling us to live. Jesus’ Resurrection is the death of death. This is not some “hippie” kind of love either, it’s a love that seeks justice, not retribution. Living in love is harder than living in fear. Today I hope to join my brothers and sister, as we stand together against racism at ETSU in support of those who have suffered the effects of racism and systemic racism at Mizzou and across our nations college campuses. Collectively we will sit in silence for three hours. (Do you have any idea how hard it is for me to sit silently for three hours unless I’m asleep?) I’m sure there will be some folks who wonder what the white guy is doing mixed up in all this. It’s love. Some of my brothers and sisters are hurting because of the color of their skin. Love calls me to suffer with them. The challenge today is to live in love, not in fear, to live the way of Jesus. Prayer: Lord, you are love, and you set the example for us in the way of love and sacrifice. May your love shine in us and through us to world of fear. Amen. Quick, grab a piece of paper and something to write with. I want you to think of someone you love. List three things that you’ve done to show your love for that person in the last week. Also, list three things this person has done to for you in the last week or so where you have felt loved. You’ll learn a lot about yourself with this exercise. 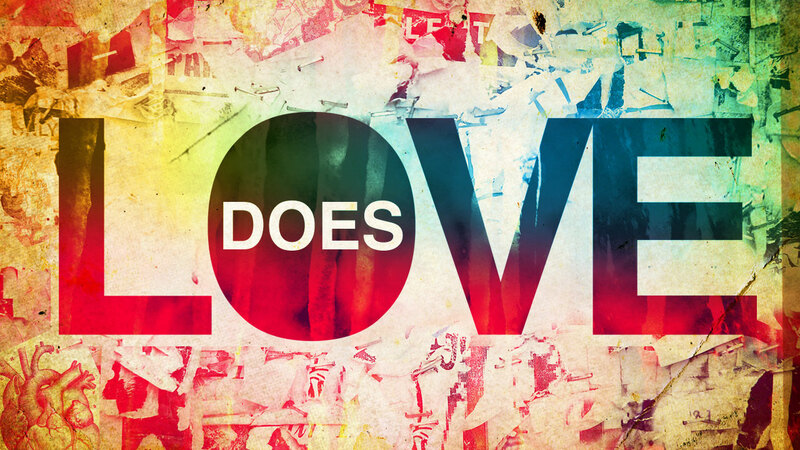 How do you show love, and how do you receive love? Here’s the strange twist, not everybody wants to be loved the same way. I want my wife to tell me she loves me, spend time with me, and encourage me. She wants me to do things, like sweep the floor, take out trash, and do the dishes. I can say the words, “I love you”, and while she likes hearing them, it doesn’t speak as loudly as doing things for her. 1 John 3, above, reminds us to put our love into action. Love is more than words. Loving is what we are called to be and called to do. Today’s challenge: Now, on that paper, list three things that you are going to do specifically to show your love to someone this week. Prayer: Loving God, you have revealed your love to us through your Son, Jesus. Help us to share that same love in action with those around us and around the world. Amen. p.s. For more on learning how to love other better, no book has influenced me as much as Dr. Gary Chapman’s The Five Love Languages. Also, Thanks to Pastor Paul Frank who put us through this love communication exercise over 17 years ago, it’s made a world of difference for us and for our marriage. I mess things up frequently. I’m also guilty of trying to justify my misdeeds so they don’t seem that bad, or make it seem to me that I didn’t really mess up at all. I tell myself that my mistakes aren’t as bad as other people’s faults. I might even try to pretend that what I did wrong, didn’t even happen, kind of like when you do something clumsy and you hope no one saw it, so you can pretend it didn’t happen. That being said, my sinfulness is still sin, even if I’m trying to deceive myself. The author of 1 John, hits the nail on the head. We are reminded to be honest with ourselves and with God. The good news? There’ grace for that. We are forgiven. It may not take away the consequences, but it does fix the relationship. And in my heart of hearts, it’s good to know that things are good between me and God. Today’s challenge: Be honest with yourself. Honesty is a must in every healthy relationship. Without it, there is no trust. 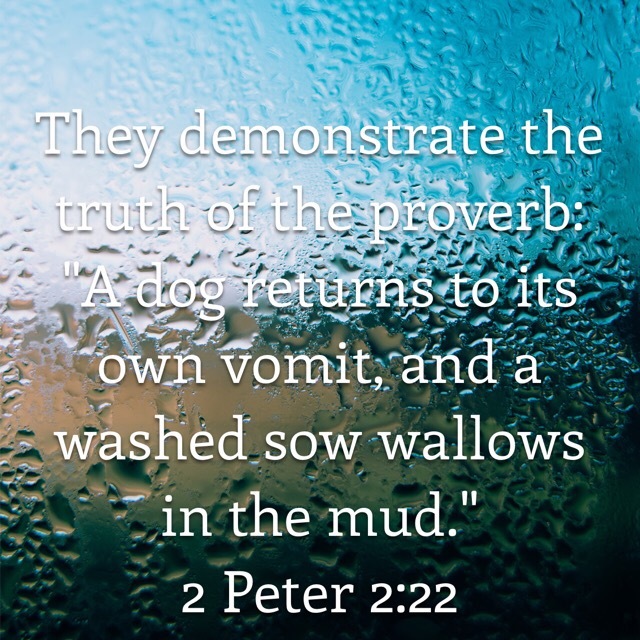 Be honest with yourself so you can be honest with the Lord. There, you will find forgiveness and grace. One more note, when you get honest with the Lord, let God take away the shame the Adversary is building in you. Prayer: Lord, I’m a sinner, I screw things up regularly. Forgive me. Show me your grace again and again and again. Heal our relationship where I have broken it. Amen. Pardon the grossness…We have a dog and every now and the, he vomits. If we don’t stop him, he’ll try to clean it up himself. It’s gross. It’s like compounding a mistakes. You be glad to know I don’t eat my own vomit, but I do make the same mistakes over and over. Habits and patterns are hard to break. In 2 Peter, the arbor encorages us to live differently. If we’ve experienced God’s love, grace, and salvation, we have the freedom and inspiration to live differently. It won’t be easy but it is possible. Questions: What changes is God calling you to make in your life? What’s your plan for changing? Who do you have around you to support you in those changes? Prayer: Lord, help me to not make the same mistakes again. Teach me a better way and give me the strength to make the changes. Amen. Knowing about Jesus and following Jesus are two different things. Knowing about God’s saving grace and experiencing it are two different things. If I know God’s love, but I am not transformed by it, then what good is that? That’s James point. He’s encouraging those who know about Jesus, to live the life that God calls us to live. It’s and invitation and a challenge. 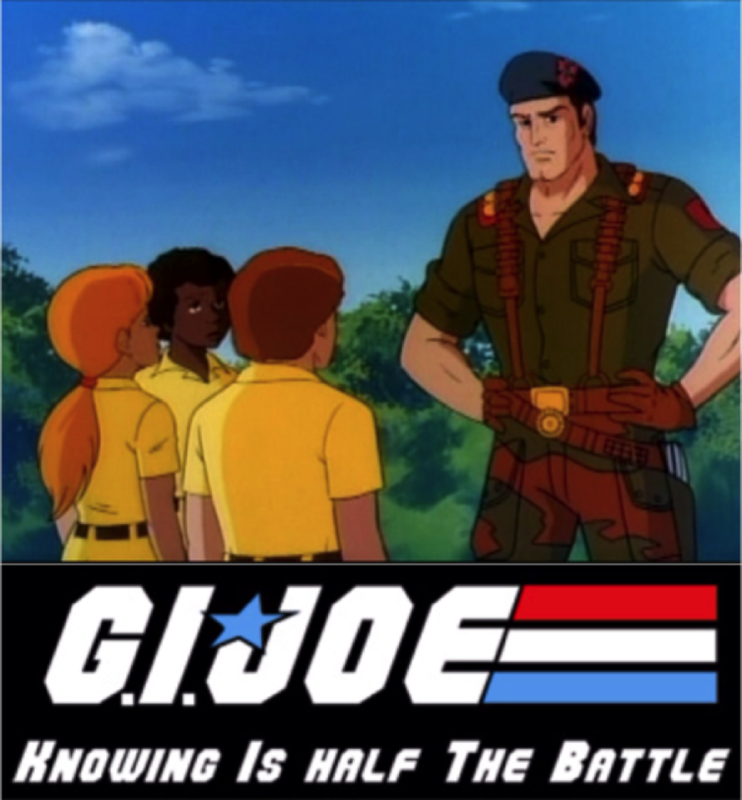 Knowing is only half the battle, and frankly, I believe the easy half. Living it out, living the life that God calls us to, to try to live worthy, as it says in Ephesians 4:1, that is the challenge – simple and straight forward, but difficult. I want to encourage you today, not to live up to some moral code to try to earn God’s love and salvation (not that you could if you tried), but to live, truly live a different way of life, guided by God, simply knowing and believing that God loves you. May the love and grace and forgiveness that God shows you, deepen your commitment to the Lord, God’s Kingdom, and a different, more excellent life. Prayer: “Lord, after all you’ve done for me there isn’t anything I won’t do for you.” Amen. p.s. The quote in the prayer is from Tony Campolo’s speech to the ELCA National Youth Gathering in 1994. I frequently use his refrain from that speech in my prayers. God still uses it with grace to convict my heart and soul.